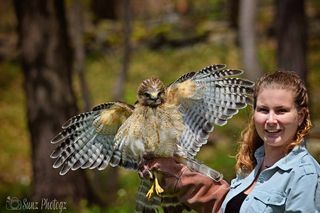 We were thrilled to hear that 'Red', the hawk that had been discovered in distress by Pels in Bridgewater, has recovered and been released back into the wild! 't move around very much. Erin became worried about him, so shebrought him indoors again. After a few more days, he became feisty andenergetic and then she put him back in the flying area. It quickly becameevident to her that he was ready. 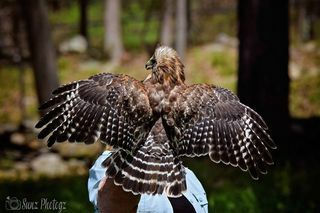 Red was released back into the wild on Tuesday!"